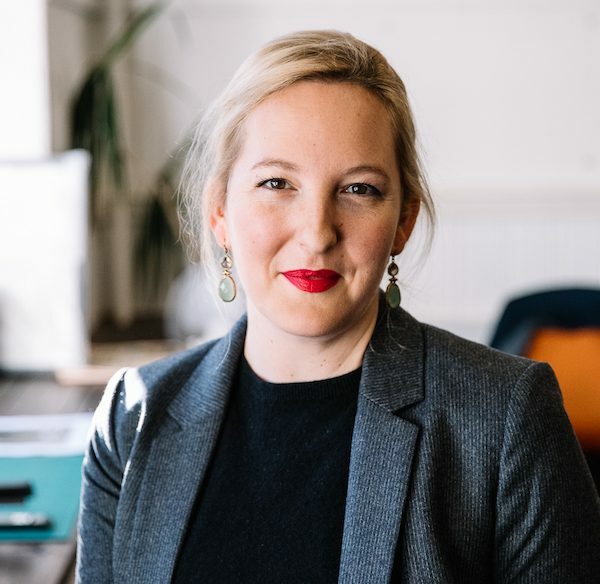 Joanna specialises in marketing strategy, working with clients to make sure that their marketing reflects what they do and that their brand matches their aspirations, values and business proposition whether it be online, on social media, traditional media, print or PR. Joanna has previously worked running membership for The Royal Automobile Club on Pall Mall in London and The Royal Society of Chemistry and the British Institute of Facilities Management before working as a consultant to membership organisations including the Institute of Directors. She moved to the USA in 2008 and worked as Executive Director of the Firehouse Art Center in Longmont, Colorado and on return to the UK as a Senior Account Manager at Fat Media in Lancaster. Joanna lives in Lancaster with her husband Paul, and children Edward, Flora and Tilda. Outside work, Joanna is Chair of Trustees of The Morecambe Bay Foodbank, The Lancaster Boys and Girls Club and is a school governor. Pulling up weeds from wheat fields in Hampshire in the summer before harvest. I used to have rare breed chickens at our house in Colorado - we had 100 and each and every one had a name including our tiny, angry chief Rooster, Gavin (who was eaten by a skunk in a tragic, stinky death). I was definitely a crazy chicken lady! My husband rather sensibly moved us to Lancaster in a house with no garden before I could start on the pygmy goats and alpacas. Annette, the manager of the Morecambe Bay Foodbank. (where I am Chair of Trustees). Her dedication, passion, commitment and vision are awe inspiring. I have a pretty large chunk of Berlin Wall that I picked up off the street when I was there on a school trip in 1990. It's a bizarre thing to treasure but I do. Also, a set of two Poole Pottery coffee cups I found in an Oxfam store a few years ago. I gave one to my best friend Jessie when I moved to the US so that we could both drink a cuppa from matching cups from either side of the pond. August and Everything After by The Counting Crows. My brother, sister and I love that record with a passion. I love books! I can never decide but last year my favourite was A Little Life by Hanya Yanagihara. I love Jenn Ashworth (a local Lancaster author) and I always go back to the Adrian Mole books - they never fail to make me laugh out loud. My favourite piece of art is a painting by Sophy Brown, a British artist living in Colorado who I got to know when I lived there. (I ran an art center so got to hang out with lots of amazing artists) A print of it is in our kitchen and it reminds me of happy times living on the Front Range. For things I'd steal from a Gallery then anything by David Hockney, Egon Schiele or August Macke. I'm not great with films but I love a good music video. Current favourites are Papaoutai by Stromae, Gold Dust by DJ Fresh and Tightrope by Janelle Monae. S Town, Serial series one, The Daily with Michael Barbaro from the New York Times, the NPR Politics Podcast and The Minimalists. A political journalist. I can't get enough of politics, Radio 4 is a staple in our house!